Composition is a term used in literature, music, mathematics, science, and art. Composition is the act of arranging, forming or putting together separate parts in to a complete whole. It is not Webster’s definition, but it is the one that I like to use. In literature, composition is using the right word in the right spot, and stringing a group of words correctly to make a beautiful sentence, and a group of sentences to make a paragraph, and so on. The same is true with music - put the right note in the right spot, grouped with other notes within a measure, etc. We talked about our elements and principles. Now comes composition. An artist’s success lies in their ability to effectively arrange the parts of their image. When you have the final image that is shared with an audience, you have determined that this color there and that line here are exactly where they need to be. Proper composition is what allows you to effectively communicate. It is in the finale act of putting it all together that you will either drive the message home or make no impression at all. Proof of concept for compositions defining role in visual communication lies with abstract art. 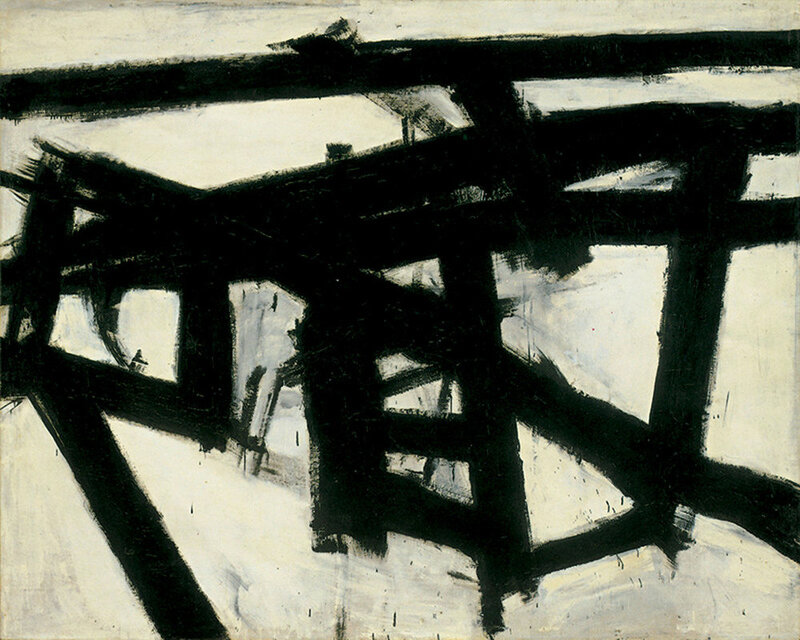 Franz Kline is one of my favorite abstract artists. I love the scale. I love the use of color, or in most cases the lack there of. I love the large brush strokes and can almost feel the arm stretching when I look at some of his pieces. But most of all, I love his composition. It is in wonderful abstract pieces like Mahoning, where painting has been reduced to its most elemental forms that you see how powerful composition - the placement and putting it all togetherness of painting - is in communicating with the viewer. Reductionism teases out and exposes the artist’s skill in composition. Although working with less shouldn’t change the level of an artist intent and decision making, it certainly becomes more obvious. What is more amazing about composition is when you really inspect an artist’s body of work, it is through composition that you discover the artist themselves. The composition is a defining characteristic. You get a glimpse into the artist’s processes and can even discover their values, if not an archetype. When I contemplate composition I am often drawn to think on Chopin and Whistler - creators of the most beautifully depressing nocturnes. Chopin uses flats and minors in the most masterful and emotionally moving ways. Whistler uses dark and muted blue and green tones in almost abstracted ways that some how evoke memories of a cold and lonely walk you have never been on. These are compositions worth exploring. Compositions that marry form and content beautifully. Compositions that put it all together nicely. James McNeill Whistler, Nocturne: Grey and Silver, 1873-75, oil on canvas, Philadelphia Museum of Art.